By 2040, the District of Columbia is projected to have more than 900,000 residents and 1 million jobs. moveDC, the District's transportation plan, is a blueprint for how the district can support tremendous growth through investments in all modes of transportation including transit, biking, walking, and driving. The plan also supports the city's emphasis on making its neighborhoods more safe, vibrant, environmentally friendly, and competitive in the global marketplace. moveDC is a product of carefully coordinated local, regional, and federal efforts to produce a comprehensive multi-modal plan that considers how long-term transportation investment will serving existing communities and future needs. By organizing around the five major modes of transportation — pedestrian, bicycle, transit, vehicular, and freight — moveDC is able to develop a holistic complete network perspective. It prioritizes specific transportation investments beyond walking and driving by identifying networks of protected bike lanes, dedicated freight paths, high capacity surface transit lanes, or multi-modal facilities. The plan proposes ways to strengthen existing policy recommendations, including travel demand management, parking and curbside management, and sustainability and livability. Shifting commuting options to substantially increase the number of commute trips in the district that will be made without a car. Supporting a transportation network that can be accessed by all income groups. Preserving infrastructure with sufficient investment and careful maintenance. Protecting public space by planting more trees to decrease urban heat and improve water and air quality. 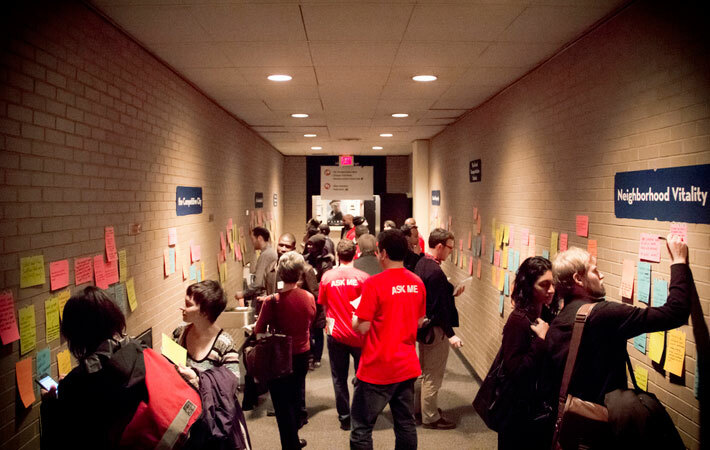 Public input helped shape the moveDC vision. Founded on community participation, moveDC has garnered interest among community stakeholders and resulted in high levels of participation online and in-person. Throughout the process, thousands of people were engaged in survey responses, public workshops and pop-up forums, a MetroQuest survey, and more than 11,000 unique website visitors from community members vested in building a long-term plan for the future of the district's streets and corridors. Outreach to all the district's eight wards was critical in ensuring all residents had a voice in the development of moveDC. 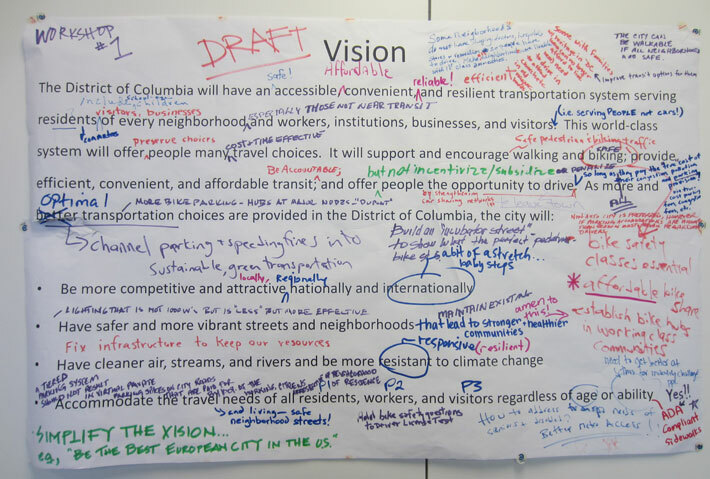 While it will take decades to complete the final vision that is moveDC, DDOT is taking actions to prioritize steps in making progress on the program. To date, DDOT has scored and categorized existing programs and projects in their infancy by infrastructure type and placed them into a four-tier priority list. When recommendations from moveDC have been fully implemented, the district will have approximately 200 miles of bicycle trails connecting all eight wards, 48 miles of bus lanes, and a new downtown subway loop. More than 300 people attended the moveDC kick-off workshop. These investments will lead to a city where residents, workers, and visitors have safe, reliable, and convenient transportation choices no matter where they need to go.